Having slow WiFi, or broadband problems that make your internet connection in your home unreliable, is a challenge that most of us in Ireland have faced. Thankfully, in many parts of the country, it is no-longer an unsolvable riddle. However, working out what needs to be done, which Internet Provider to choose, and what technology and devices to apply, still requires a bit of planning. Read on to learn more about what technologies combine to give you an internet connection, and what can contribute to broadband problems or slow WiFi in your home in Ireland. What’s the difference between WiFi and Internet? Isn’t it the same thing? In a word, no! I confess that, as a techie, I’ve been surprised by how many people think of WiFi and Internet as synonymous. The words are used interchangeably, and yet they are very different things. Well, what’s involved in getting that milk to your cup of tea? Somewhere, unseen by most people, there’s a cow or goat. Then there’s a dairy farm, where the milk is “extracted” and pasteurised. A factory that bottles it and a distribution network. Possibly a milk man/woman. Then there’s you, who brings it to your fridge, and puts it in to your cuppa. What does your internet connection have in common with milk? Well, there are some analogies with the world of WiFi, Internet, and what’s on the Internet (or strictly speaking, the World Wide Web) here. The Dairy Farm: A server farm, often referred to these day as “The Cloud”. The Distribution Network: The Internet and the many Internet Providers that connect together. YOU: Yes you… you are the WiFi that brings the content (milk) around your home. 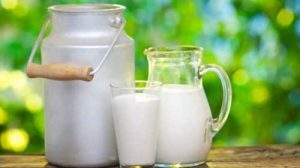 So, with this thought in mind, you can pretty quickly see that if that milk is taking a long time to get to your tea, it could be that YOU are moving slowly, the Milkman/woman was taking their time to deliver, or indeed almost any part of the dairy chain had some part of impediment. Well, I won’t stretch this analogy much further, but believe it or not it can be… Multiple cows = multiple servers, providing faster milk supply and reliability… Multiple Dairy Farms = Multiple Server Farms, providing fault tolerance if a natural disaster hits one farm… and it goes on an on! Well, in this case when you are finding web pages or photos slow to load, or videos show you the horrible “buffering” icon for ages, then the cause could be many different things. It could be your WiFi signal in your home, it could be your connection from your home to your ISP, or it could be something further up the network. Let’s talk about some of the technologies. Hands up if you remember those squealing old modems (short for modulation and demodulation). Well, up until the mid ‘90s, that was your only way to connect to an ISP and thus the Internet. The physical wire between your modem and the computer was the equivalent of today’s WiFi. Modems provided access to the internet via your copper phone wire at a theoretical maximum of 56Kbps (56,000 bits per second). You could not use your phone line while your computer was using it. ADSL (Asymmetric digital subscriber line) and why it can cause broadband problems. ADSL was a revolution. All of a sudden, those twisted pair copper phone lines running to your house could be used for simultaneous phone calls and internet usage, and you could comfortably leave the internet connection on all the time. It took a huge theoretical speed leap too. Initially the theoretical limit was 8Mbps (Megabits per second, or 8,000,000bps), and then later with ADSL2, 12 Mbps and with ADSL2+, 24Mbps. However, there is a catch, and it is a big one. ADSL only works over a short distance from the local telephone exchange. The further away you get, the slower the connection is. If you are more than about 5km from the exchange, you are out of luck altogether. Even if you are only 4.5km from the exchange, ADSL2+ will only be able to give you a maximum of about 3Mbps download speed… but you will still pay for “Up to 24Mbps”. A genuine rip off. Also, the “A” bit of ADSL is important. In this case, Asynchronous means that it cannot deliver the same speed in both directions, i.e. uploading and downloading. At best, while ADSL2+ could give you 24Mbps download speed, it can only upload at a maximum of 1.4Mbps (a later version might give you 3.3Mbps). Why does upload speed matter? Well frankly, it didn’t used to matter much for browsing websites. Today, however, we don’t just “consume” internet content (i.e. downloading), we all create it. We write emails and have to send them (upload), we take photos and put them on Facebook (upload), we back things up to “the cloud” e.g. Google Photos (upload), we put silly videos up on Snapchat, Instagram, etc etc etc… and our kids do a heck of a lot more of it than their parents. So all of a sudden, we need upload speed as well as download speed. Wherever there are delays in getting Internet to homes (and in Ireland, there have been a lot of delays), some innovative company or other will find a way. This has brought out some fringe products and some a bit closer to the mainstream. Things like Line Of Sight broadband (a microwave connection from an ugly, usually square, antenna on your roof), WiMAX, mesh networks (people sharing connections from one home to another) and others exist, but honestly rarely are great. Satellite based broadband also still exists, but it is costly, not very fast, and has a horrible “latency” because the signal has to go to orbit and back, meaning that gaming, some VPN (virtual private network, usually used for private connections to an office) and other real-time tasks often don’t work well. This area has undoubtedly improved faster than other areas. 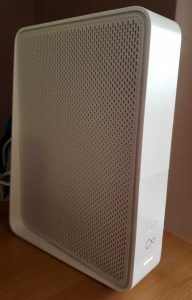 Eir (formerly Meteor), Vodafone, and Three, all offer you the possibility of using them for your home broadband connection. You either get a dongle, or a router from them and you can get internet to your home without any wires at all. However, their coverage varies massively, and it’s only really worth considering if you can get a “4G” connection from one of them. Also, they all currently cap you monthly usage, so you need to be conscious of how much you are using so you don’t go into overcharge territory. This all being said, they are a great option for rural users where ADSL wouldn’t work, and Fibre isn’t there yet. Even if you get a relatively weak 4G signal, you can boost it by putting a particular antenna on your roof (which looks just like a TV antenna). Now we’re talking! Fibre Broadband is another major leap. It can literally be an order of magnitude (or multiple orders of magnitude) faster than your ADSL connection. There are a few different types, but the key difference is whether the optical fibre connection goes all the way to your home, FTTH (Fibre To The Home) or just to a nearby cabinet, FTTC (Fibre To The Cabinet). In the case of the latter, the green cabinets will usually be on your housing estate or street. ne or (better) TV coaxial cable. Virgin Media in Ireland, formerly (UPC, NTL, Chorus etc) use FTTC, and can now provide 240Mbps or 360Mbps (360,000,000bps) over these connections. Eir, SIRO and others provide FTTC and in some lucky places, FTTH connections, offering up to 100Mbps and 1Gbps speeds (1 Gigabit per second = 1,000,000,000bps). Because of the way it is rolling out, you can find that you are struggling with a 3Mbps connection, and you may be completely unaware that your estate has been fibre enabled, and for no (or very little) extra cost, you could have 1Gbps. That is literally 333 times faster for virtually no cost increase. What does this speed increase mean in real terms? Well if you are struggling with slow ADSL, all of a sudden, Facetime and Skype will be clearer, Netflix won’t spend ages buffering, web pages will load faster and the list goes on. But more than that, these fibre connections also have much higher Upload speeds too. Typically a 240Mbps connection would have a 25Mbps upload speed. That then starts to make it practical to back up your files online to something like Google Drive, One Drive, Dropbox, Google Photos etc. So wait. What about WiFi? Well so far we’ve been talking about the connection from your home to your ISP… The milkman in our analogy. Now it’s time to talk about you getting that milk into your tea cup. WiFi time! Have I got a network in my house? To my surprise, most people would answer this question with an emphatic “no”. Well, if you’ve got more than one electronic device that connects to another device in your house… you’ve got a network. You can have a network in your house that is entirely unconnected to the rest of the world via the Internet. Internet simply refers to interconnected networks. Back in the 90’s you might have had one computer with a modem, and it would dial up to a “POP” (Point Of Presence). Your computer would then become a node on the internet. Today, things have changed. Modems have been upgraded to routers. 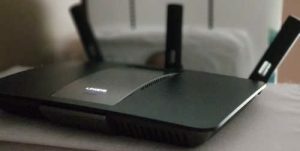 Routers connect two different networks together and, in somewhat oversimplified terms, direct traffic from one end (say, a website) to another end (a device like your iPad). The router is a bit two faced! It has one side which faces the Internet, and essentially acts as a modem, but using much more modern communication technologies than the old squealers. The other side of your router faces inwards towards your home. The two sides are separated by a basic “firewall”, which prevents some traffic leaking out of your home, but more so, it stops some of the unwanted traffic on the internet spewing into your home. After all, you don’t usually let the milkman through the front door, and you don’t tell him or her everything going on inside your house! On that internal facing side of your router, you have a network. It provides a private Internet Protocol (IP) address to each of your devices. 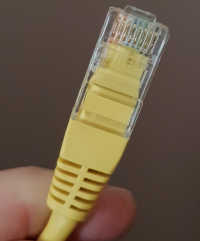 For a long time, home routers could only connect to your devices via a wire, called an Ethernet connection. They look a bit like a phone wire, but instead of 2 or 4 little wires inside the cable, there are 8, in 4 “twisted pairs”. As we approached the peak of the building boom and start of the 2008 recession, many houses were built with Ethernet sockets all around the house. Ethernet Cables, such as Category 5 UTP (Unshielded Twisted Pair) cables are reliable. Ethernet cables come in several different types and speeds. In recent decades, there have been Categories (Cat) 5, 5e, 6 and 6a. Each category has two primary types, UTP and STP (unshielded and shielded Twisted Pair). STP would only be used in an electrically “noisy” environment. You can also get externally UV shielded cables (good for running a cable around the outside of your house). They are not all created equally! They can call carry a signal up to about 100 metres, but Cat 5 can only operate at up to 100Mbps (i.e. slower than some of today’s fibre internet connections). Cat 5e can handle up to 1Gbps, and Cat 6 and 6a can handle up 10Gbps (Cat 6 can only carry 10Gbps up to 55 metres, whereas 6a can handle 100m). The range could be extended using “switches” and “bridges”. So, if you’re building an office from scratch, wiring it up with Ethernet is typically going to give you a very reliable network. If you are lucky enough to have your home wired with Ethernet, you can build a very robust network to connect to your router and onwards to the Internet. However, very few people have this luxury, so where do they turn? Wireless networking started to emerge in the early 2000’s, but has gone through many changes for the better. As it has developed in the 21st century, WiFi has brought us to the stage where we can spread our network all around our homes, without having to touch a cable. Every year new WiFi enabled routers, WiFi extenders and other devices get released, pushing the speed, range and reliability of the WiFi signal further. … and on the horizon, super short range 802.11ad, and super-fast 802.11ax. WiFi today works on two different frequencies, 2.4GHz and 5GHz. If you think of these two frequencies like old radio wavelengths 2.4GHz is a bit like the Longwave and Mediumwave bands on your radio. The signals can go a long way (great range), but you can’t get many radio stations on them and they can get a lot of interference. In the case of 2.4GHz WiFi, interference comes from other WiFi networks in your neighbours’ homes, digital cordless “DECT” landline phones, microwave ovens, remote control helicopters or drones, and many other devices. All this interference can cause slow WiFi or dropped connections. The more recently added 5GHz range is much less crowded, has fewer devices that can interfere with it, but just like VHF (FM) radio, it doesn’t travel as far (shorter range), and it is not quite as good at making it through the internal walls of your house. Many of the WiFi routers that you can buy these days (but not always the ones you get from your ISP), can use both the 2.4GHz and 5GHz frequencies simultaneously. They also have multiple antennas so you essentially get more than one 5GHz and 2.4GHz in your home, giving you the benefit of good range and good speed. Some very new devices that can have WiFi capabilities of the 802.11ac standard, can “bond” these networks together resulting in extremely fast network connections. Keep an eye out for MU-MIMO devices (Multi-user – Multiple Input Multiple Output), which allows a device to communicate with multiple other devices simultaneously, speeding up the connection. The Internet of Things or IoT is the industry buzzword for giving previous unimaginable devices network connectivity. 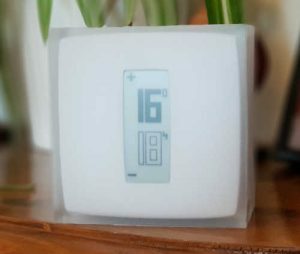 These “smart home” devices include thermostats, light bulbs, doorbells, baby monitors, home security cameras, alarm systems, door locks, washing machines, fridges and many more. It also includes perhaps more obvious items like smart TVs, home audio systems, and set top boxes. Some of these devices aren’t just receiving nodes on your home network, they are also mini WiFi routers in their own right. Each one of the devices connects to each other device on your network forming a WiFi mesh network. It is a clever advance and makes extending range easier. 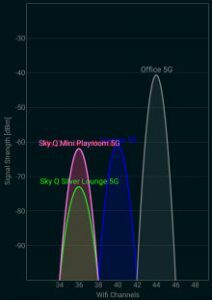 You may already have unwittingly got a WiFi mesh network in your house if, for example, you’ve got Sky Q in your home! So Ethernet is probably the most reliable way of propagating your Internet connection from your router to the rest of your house, but it requires wires all over the house or to be built into walls. HomePlug Powerline networking allow you to spread your WiFi around your home. WiFi solves the wire problem and lets you move around your house without being tethered to something. The limiting factor in WiFi is real-world signal range. It doesn’t like walls, and we tend to have a lot of them in houses. Particular types of modern insulation can really hurt it (there are types of wall insulation that contain foil. Having metal foil insulation in your walls is great for keeping heat in, but it’s also pretty great way of preventing a WiFi signal escaping the room. Thankfully this isn’t often used in internal wall cavities in a house. But wait (some bright spark must have thought), there are already wires all over a house. They carry electricity to every socket in the house. What if we could use them to transmit network signals from one part of the house to another, and then broadcast a WiFi signal from the sockets? Well that’s exactly what HomePlug does (I’ve heard it just referred to as TP-Link, which is just one of the brands that make HomePlug devices). HomePlug is a series of standards for power line communications. Like all of the technologies that we’ve discussed, it’s had a few generational updates. The current generation at the time of writing is “HomePlug AV2 MIMO”. Your initial HomePlug device comes in a pack of two. One end plugs into a socket behind your Internet Router, and then connects to that router via an Ethernet cable. The other end can plug into any other socket in your house. It will Either have an ethernet socket or two, or broadcast a WiFi signal… and again there are the different WiFi standards, so make sure you’re getting an appropriate standard (“AC” at the moment). HomePlug is very simple to use and it masks some really complex technological challenges. Electrical power lines often have a lot of “noise” on them. HomePlug AV2 MIMO uses the Live, Neutral and Ground wires of your power sockets to give it the best chance of avoiding noise on the lines. It can learn where noisy frequencies are and adapt itself to a point. It’s still susceptible to noise on the lines though, and it’s strongly recommended to plug the devices into single socket outlets and definitely not multi-gang adapters. Will Powerline work in my home? How well powerline adapters work in your home will depend on how the house is constructed, how it was initially wired, how many (and what types of) devices are plugged in, how big the house is, and perhaps even what’s going on in your neighbours’ houses. While it is not a frequent issue, if you have neighbours that are HAM radio enthusiasts, you should stay away from HomePlug technology… It apparently creates shortwave radio interference that HAM radio people really dislike! So how do you speed up your slow Wifi or slow broadband internet connection? Working out what’s best for you starts with understanding where your bottlenecks are. What’s causing your slow WiFi? What do you want the connection to be able to do? What’s available in your area and how your is home built? Which internet connection types are more likely to cause broadband problems? A slow internet connection, caused by slow WiFi or broadband problems can lead to some computers or other devices seeming slow. If you can get it at your house, get Fibre broadband. 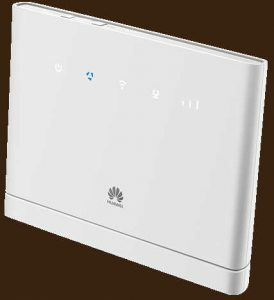 When you are choosing a WiFi router, make sure it uses the 802.11ac standard at least. Should you decide to extend your network with cables, consider Cat 6a cables for a bit of future-proofing. 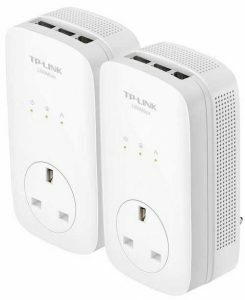 If you want to propagate WiFi around your home without laying more cables, powerline adapters could work for you. Just make sure they’re “AC” WiFi rated. So now you know all about all the parts involved in getting the milk from the cow to the tea cup! Is this all too much? Would you like someone independent to assess your situation and provide impartial advice? Then call James at DeGeekIT on 0863804373 or hit the button below to book a visit using our simple appointment calendar! We are based in Ratoath, Co. Meath, Ireland and, distance permitting, will visit you in your home.